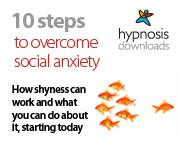 FREE 5 Day Self-Hypnosis Course! Subscribe for my unique course on Effective Self-Hypnosis. Thank you for subscribing! Please check your inbox to confirm your subscription. Your details will be kept private. You can unsubscribe at any time.